GeoHECRAS provides support for custom projected coordinate reference systems. Select File | Map Coordinates from the ribbon menu to view the Map Coordinates backstage page. 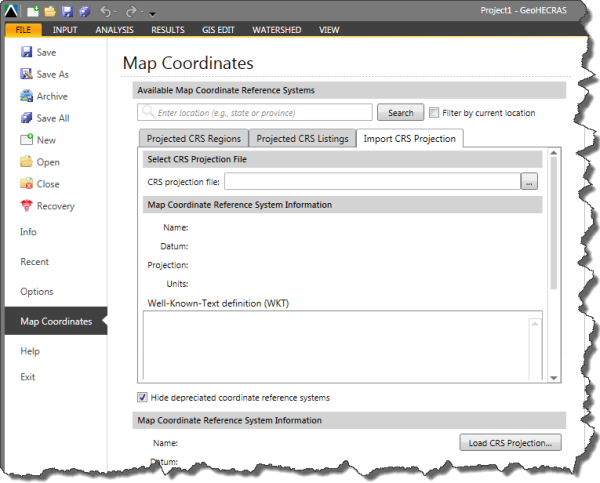 From the Map Coordinates backstage page, select the Import CRS Projection tab. 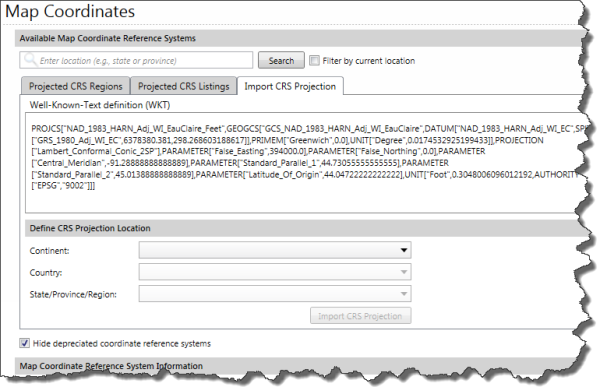 After the custom projection file is loaded, the software will check to see if it already exists in the CRS database. If not, the software will prompt the user to define the physical location of the imported CRS so that it can be readily reused later.